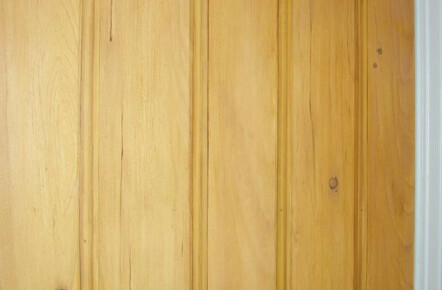 This faux wood effect project involved painting a faux pine door in a home which had recently had a loft conversion. 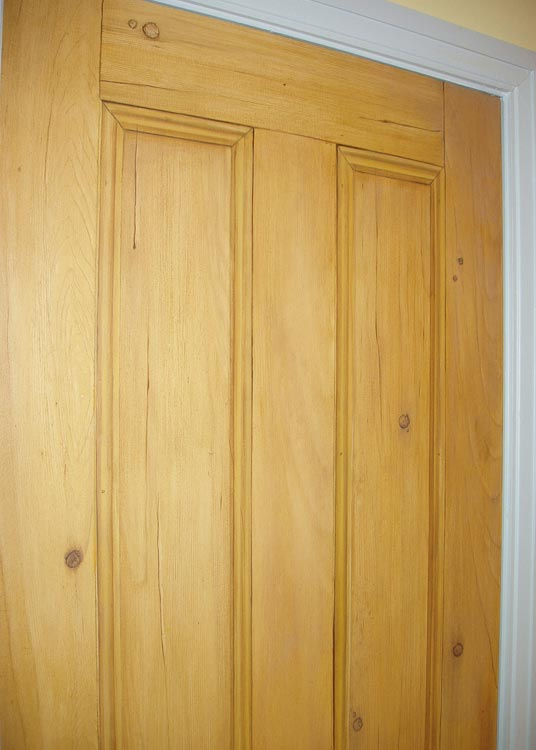 As part of the building regulations a fire door had to be fitted which created a problem as all the rest of the doors in the hallway were panelled antique pine. The new, flat white fire door naturally stuck out like a sore thumb, so I faux painted it to look like all the rest. I even added some trompe l’oeil beading to give it that 3D quality and make it indistinguishable from the real thing. “Thank you so much Lee, our faux fire door looks amazing, we are so pleased with the result! It’s now becoming the focal point of our house and your wonderful artwork is quite the talking point of all our visitors.” Mrs S, Harrogate.